Clothing: Nelson is New Zealand’s sunniest location, with a near Mediterranean summer climate, but the temperature can fluctuate quite widely throughout the day and night in the Nelson region, especially in the shoulder season: so it’s wise to pack warm clothing for early and late in the day as well as for night sailing. During the day the sun can be very powerful, so a sunhat, sunglasses and sunscreen are essential items. Long sleeved thin tops are also a good idea. Please bring your own towel and you might also like to bring your swimming things. Food and drink: Sail Nelson provide all the delicious food for the week and we’re happy to cater to your food preferences, providing you advise us in advance. If you’d like a beer or a glass of wine with your evening meal then please bring this with you. As well as the main meals we provide all the tea, coffee and snacks but if you have any particularly favourite snack items then don’t hesitate to bring these with you too. Fuel and Water: The fuel and water tanks are fully topped up before we set off on day one and there is also the opportunity to top up the water during the week if necessary. There’s hot and cold running water and a hot shower on board and we also carry bottled drinking water. Sleeping: Our yachts have 3 separate double sleeping cabins with comfy bunks. Please bring your own sleeping bag and we will provide you with a pillow and clean pillowcase. If required we can rent you a sleeping bag and clean cotton liner for a small charge. Wet weather gear: We carry spare foul weather jackets and trousers and are happy to rent these to you for a small charge too, but if you have your own we recommend that you bring them with you. Lifejackets and safety gear: All the necessary safety gear, including lifejackets, is provided. Our life jackets are the self inflating type with built in safety harnesses. We also carry a liferaft, lifebouys,flares, EPIRB and much more safety gear, too numerous to list here. 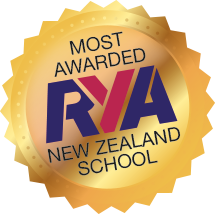 Certificates: At the end of the RYA course we issue you with the appropriate certificate for your skill and knowledge level. The cost of the certificate is included in your course fee, but don’t forget to bring a passport photo with you if you’re going for Day Skipper or above.